UEFA defends its decision to host the Europa League final between Liverpool and Sevilla at Basel's St Jakob-Park, which has a capacity of just 35,000. Liverpool boss Jurgen Klopp is not worried about the low ticket allocation for the Europa League final and urges fans to head to the city of Basel anyway. Liverpool manager Jurgen Klopp says that captain Jordan Henderson believes he can be fit for the Europa League final. Liverpool's place in the final of the Europa League is reward for the respect that they have shown the competition, according to Adam Lallana. Daniel Sturridge will spearhead the Liverpool attack during tonight's Europa League semi-final against Villarreal, while Emre Can returns from injury. 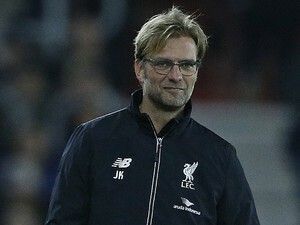 Liverpool manager Jurgen Klopp challenges his players to repeat the spirit shown in their comeback against Borussia Dortmund when they welcome Villarreal to Anfield. Liverpool manager Jurgen Klopp plays down Villarreal's wild celebrations following their late winner in the first leg of their Europa League semi-final. Liverpool manager Jurgen Klopp says that he is happy with the direction his team is heading after seven months in charge at Anfield. Defender Dejan Lovren credits manager Jurgen Klopp with changing the mindset at Liverpool. Liverpool forward Divock Origi refuses to give up hope of returning from an ankle injury before the end of the season. Liverpool manager Jurgen Klopp confirms that Jordan Henderson is likely to be fit for England's Euro 2016 campaign. Liverpool manager Jurgen Klopp confirms that Emre Can is ready to return to the squad after recovering from ankle ligament damage. Joe Allen is confident that Liverpool will overcome their 1-0 deficit to beat Villarreal and reach the Europa League final. Sports Mole previews Thursday's Europa League semi-final second leg between Liverpool and Villarreal at Anfield, with the visitors holding a 1-0 aggregate lead. Manchester City's Joe Hart on Liverpool's radar? Supposed uncertainty over Joe Hart's future at Manchester City reportedly alerts Liverpool manager Jurgen Klopp, who is said to be in the market for a new goalkeeper. Leicester City's Ben Chilwell on Liverpool's radar? A local report claims that Liverpool are exploring the possibility of signing Leicester City left-back Ben Chilwell. Liverpool midfielder Emre Can returns to training ahead of Thursday's Europa League semi-final showdown against Villarreal. Liverpool manager Jurgen Klopp says that Daniel Sturridge will be available from the start of his side's upcoming Europa League semi-final second leg against Villarreal. Liverpool manager Jurgen Klopp brushes off questions regarding Daniel Sturridge's hasty exit from the pitch at the full-time whistle of his side's 3-1 defeat to Swansea. Jurgen Klopp: "We deserved to lose"
Jurgen Klopp admits that his Liverpool side "deserved to lose" after their 3-1 defeat away at Swansea City. Andre Ayew scores twice as Swansea City ease to a 3-1 victory over 10-man Liverpool at the Liberty Stadium. As speculation mounts over his future, Daniel Sturridge leads Liverpool's attack away at Swansea City. Relive Swansea's 3-1 victory over 10-man Liverpool as Andre Ayew scores twice to fire his side to Premier League safety. Liverpool manager Jurgen Klopp reveals that Jon Flanagan has been absent from the squad because he is not yet fully fit. Daniel Sturridge admits that he is not 'Liverpool until he dies', suggesting that he could leave the Merseyside outfit in the future. Liverpool manager Jurgen Klopp says that he is baffled by the Premier League's decision to schedule Sunday's match against Swansea City at 12pm. Sports Mole previews Sunday's Premier League clash between Swansea and Liverpool at the Liberty Stadium. Adam Lallana is confident that Liverpool will get the result that they need against Villarreal to progress into the Europa League final next week. Liverpool manager Jurgen Klopp explains why he decided not to bring on Daniel Sturridge in last night's Europa League semi-final against Villarreal. Liverpool manager Jurgen Klopp insists that his side's Europa League semi-final against Villarreal is far from over despite falling to a first-leg defeat at El Madrigal. Jurgen Klopp leaves Daniel Sturridge on the Liverpool bench in Thursday night's Europa League semi-final first leg against Villarreal. Relive Villarreal's 1-0 win over Liverpool at El Madrigal as the hosts strike late to gain the first-leg advantage in their Europa League semi-final tie. Liverpool boss Jurgen Klopp says that he is "really happy" for the families of the Hillsborough victims after a verdict of unlawful killing was delivered. Christian Benteke is named in Liverpool's travelling squad for tomorrow's Europa League semi-final first leg against Villarreal in Spain. Liverpool make Thomas Vermaelen offer? Liverpool reportedly submit an offer in the region of £7.5m for Barcelona's former Arsenal centre-back Thomas Vermaelen. Sports Mole previews Thursday's Europa League semi-final first leg between Villarreal and Liverpool at Estadio El Madrigal.